Riad du Figuier dated 18th century, probably attached to the palace Khoubane facing it, dwelling place of different Kaïds of the city. It is located in one of the oldest streets of the Medina, the street Chbanate. The small door (Bouiba) was dug in the walls especially for these 2propriétés in the early 20th century. 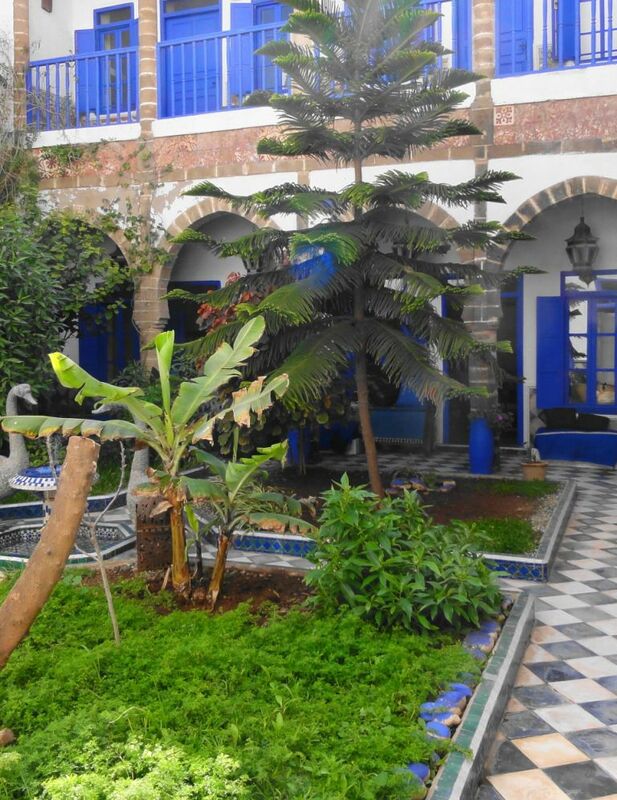 The Riad has an area of ​​500m ² distributed on 3 levels. It was restored in the tradition by local craftsmen and offers a true taste of everyday life souiri. Typically narrow door opening onto a long hallway that overlooks a garden of light. Riad du Figuier is one of the few riads in Essaouira to offer a vast central patio that provides light, freshness and appeasement. Two swans keep watch over the fountain, while the garden encourage the turtles to follow their pace. Àmanger room and Moroccan lounge with fireplace, great place to relax with a book overlooking the garden.